When I was 18 years old, a boxer-mix dog saved my life. I had married a very bad guy who had a very bad temper. He had a dog who was terrified of him, a little fawn "boxer" mix named Puddin. One evening he decided that he didn't like the meal that I cooked and put a butcher knife to my throat. Puddin threw herself at him and bit his leg with all her might, breaking his grip on me and giving me the opportunity to get away with my life. He did not spare hers, unfortunately. She taught me that dogs are here in service to us to provide us with unconditional love and healing. All we need to do is love them back. In later years, I was fortunate to meet Freddie Herndon of Herndon Boxers. She had dogs out of the famous Salgray line and I was able to purchase my very first boxer, Herndon's Melody, a classic brindle beauty who had no chance in the show ring due to the then-prejudices towards flashy dogs. I cut my teeth on her while Freddie mentored me, sharing many of the little secrets that helped me to become a conscientious and ethical dog breeder. Herndon's Melody had a litter of two males, one of which was my first show dog, Jafra's Diamonds and Rust. I learned the ropes of showing in the Novice ring and started understanding how to be a good dog breeder. 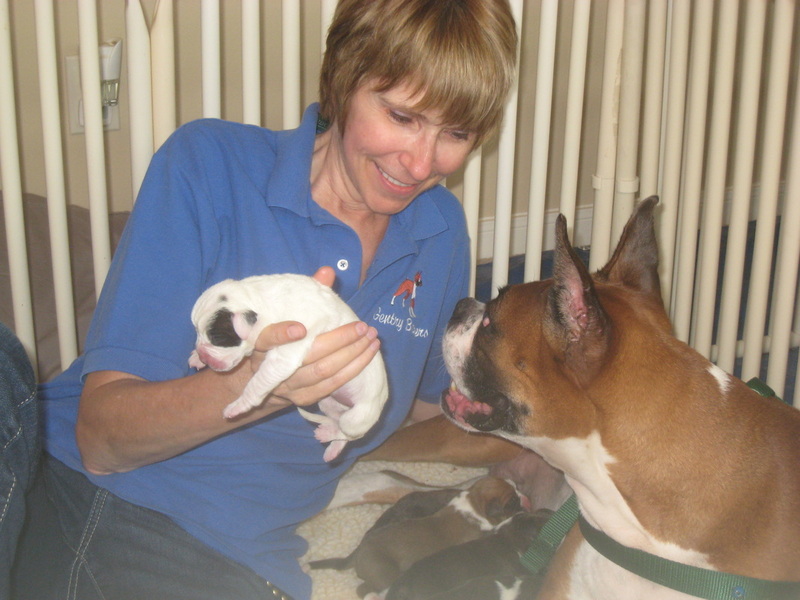 Over the decades, I've been fortunate to work with some of the great boxer breeders. Salgray, Merrilane, Vihabra, Herdon, and others have shared their time and wisdom with me. I now work to pay it forward by mentoring young boxer breeders who are interested in learning. I am fortunate to still be mentored by those who are more experienced than I. As a Whelper Helper, I often answer phone calls in the middle of the night to assist breeders in crisis. When I was young, my mentors typically held much of the information closely guarded and I was told not to share with others at times. I don't believe in this. It's the way of old energy. When other breeders prosper, I prosper. The dogs prosper. And my clients prosper. We all win. Located in the Houston Texas area.